Dan and Andy break down the Jimmy Butler blockbuster from all angles, including his fit with the 76ers; the Timberwolves' future; other trade targets for Philly; salary-cap implications; 2019 free-agency ramifications; and so much damn more. Afterwards, they dive into Carmelo Anthony's suddenly uncertain future with the Rockets, whether the two sides can work it out, and which, if any teams, should consider taking a flyer on him should he leave Houston. 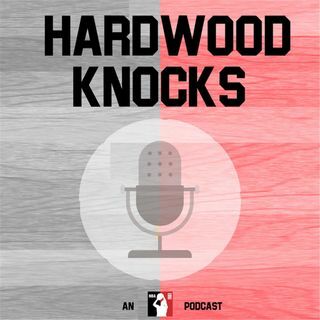 As always, please subscribe to ... Maggiori informazioni and rate Hardwood Knocks on iTunes. You can also find us on basically anywhere podcasts are offered. And as 50 Cent's biopic suggests: Follow Andy Bailey (@AndrewDBailey), Dan Favale (@danfavale), the show (@HardwoodKnocks) and NBA Math (@NBA_Math) on Twitter or die trying.